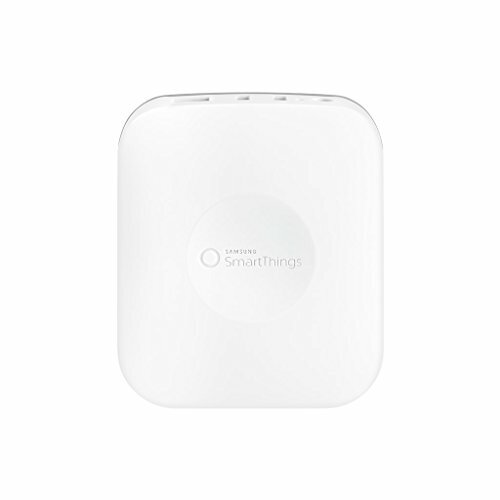 The company also announced a stand-alone SmartThings Hub and several smart-home components. 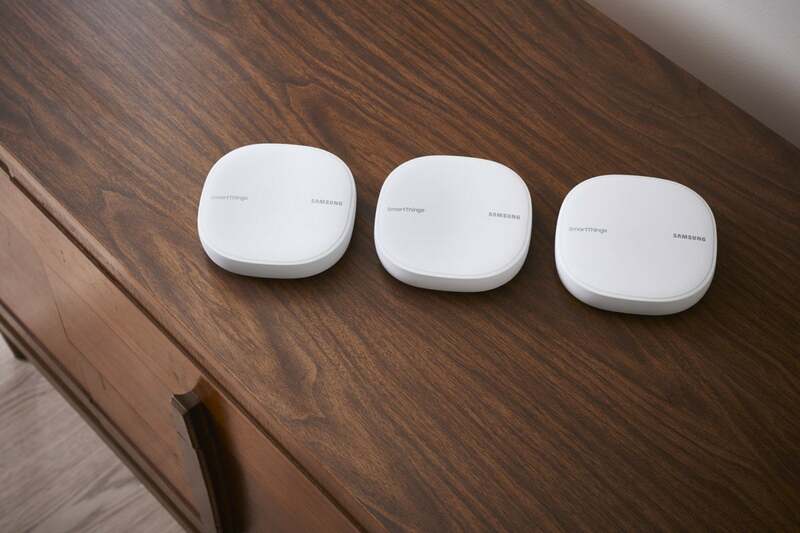 SmartThings Wifi also features Adaptive WiFi technology from Plume. This Silicon Valley startup has developed a cloud-based network-control system that uses artificial intelligence to learn about your home environment and continually optimize your network’s performance. 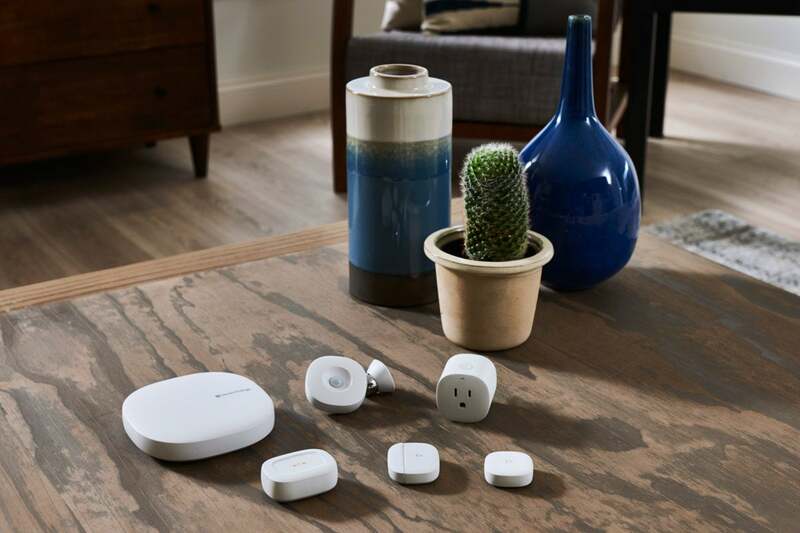 Plume sells its own consumer mesh routers in addition to supplying its technology to third-party vendors, including Comcast. 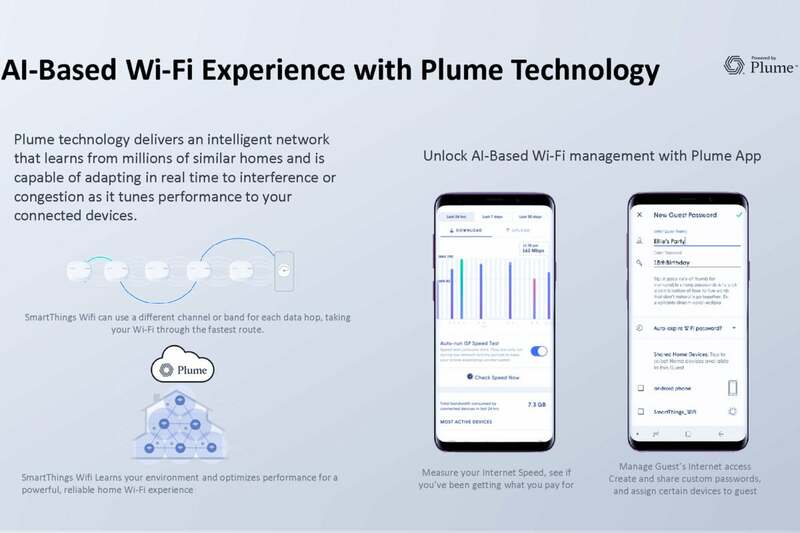 Comcast and Samsung have both made strategic investments in Plume. Samsung is selling this router as a single node offering coverage of up to 1,500 square feet for $119.99, and as a $279.99 three-pack that should cover up to 4,500 square feet. Because this is a mesh system, additional nodes can be deployed if you need even more coverage. The router half of the device is a dual-band AC1300 model rated to deliver TCP throughput of 866Mbps on the 5GHz frequency band, and 400Mbps on the 2.4GHz band. It supports two spatial streams up and two down, with MU-MIMO. The Samsung SmartThings Wifi router will feature cloud-based network optimization technology from Plume, a Silicon Valley startup in which Samsung has invested.